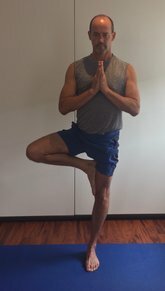 This page includes information and links to teachers in our community who offer yoga classes designed specifically for men. Maryem's Mayouti Yoga classes let the flow and breath lead the way. Moving mindfully and with safe alignment, specific cues and the 'steady breath' focus the mind, placing the present moment at the heart of the practice. Take care with a whole-body stretch, toning, and an overall sense of mind-body balance. ​Hello, I have studied multiple styles of yoga since 2005 and have certifications in Vinyasa Flow, Anusara and Yogamaze Yoga. 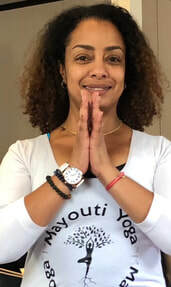 As a teacher, I continue my regular study of yoga to constantly enhance my teaching for the betterment of my students to create a fun and feel good experience. 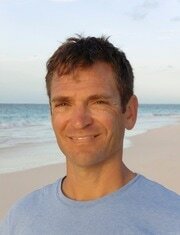 Brian teaches a mix of Power Yoga and Anusara, focusing on breath and alignment to develop strength and flexibility. His classes are both humorous and introspective, set to an inspirational asian lounge soundtrack. He also leads meditation classes, following in the tradition of Paramahansa Yogananda. Katina approaches her personal practice and teaching with humble curiosity and thoughtful consideration. "Through yoga I have found a sense of home in my own body". Influenced by a variety of modern vinyasa forms, her classes emphasize alignment, strength and breath and make space for all to feel safe and empowered.